Bowler combined with flask-three in one. 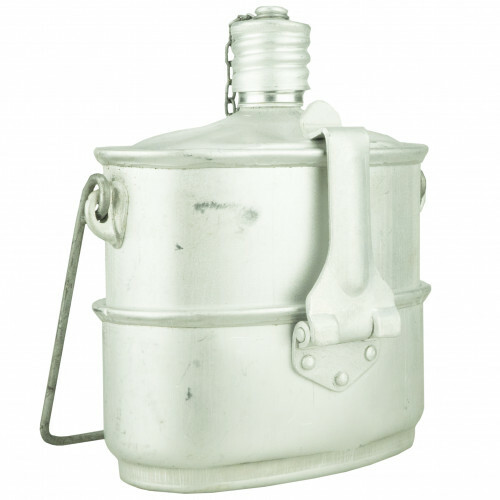 · Podkotelnik with handle (0.5 l.). In this configuration jar is inserted into the pot, the pot in podkotelnik, and the whole set is embedded in the cover, which is available separately! Size Package assembled: 182 x 160 x 90 mm. Color kit: light aluminum. All the elements are made of lightweight aluminum for the food army specifications.